This wonderful modern villa is located in a dominant position with exceptional views of the sea. 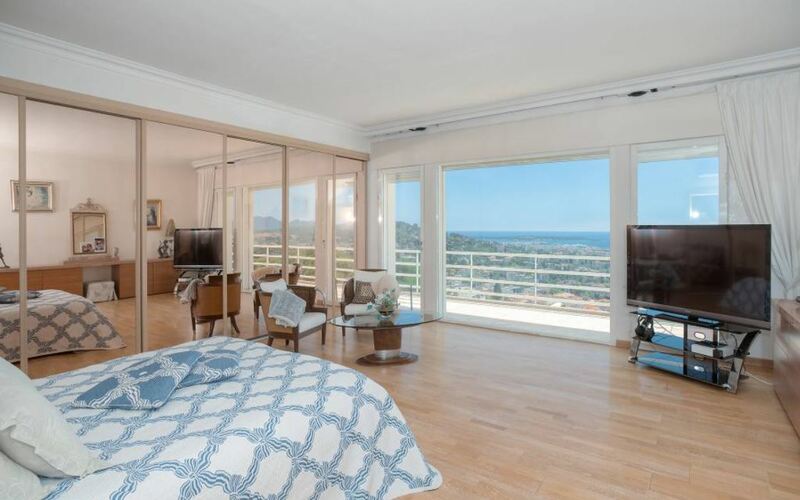 The property is close to the beaches of Cannes and the town centre. The villa comprises of 5 bedrooms with en-suite bath or shower rooms that have been excellently designed and decorated. The ground floor holds a spacious living room with stunning views, a dining room and a fully equipped kitchen. The first floor is where guests will find the master bedroom as well as 2 additional en-suite bedrooms. The garden level has a further 3 en-suite bedrooms. The property features a gorgeous swimming pool and a multitude of terraces to enjoy.